Kim Kardashian West is experiencing another psoriasis flare-up. On Monday, the 38-year-old Keeping Up with the Kardashians star, who has been very open and honest about her battle with the skin condition over the years, shared a video on her Instagram Stories, which showed blemishes covering her face. 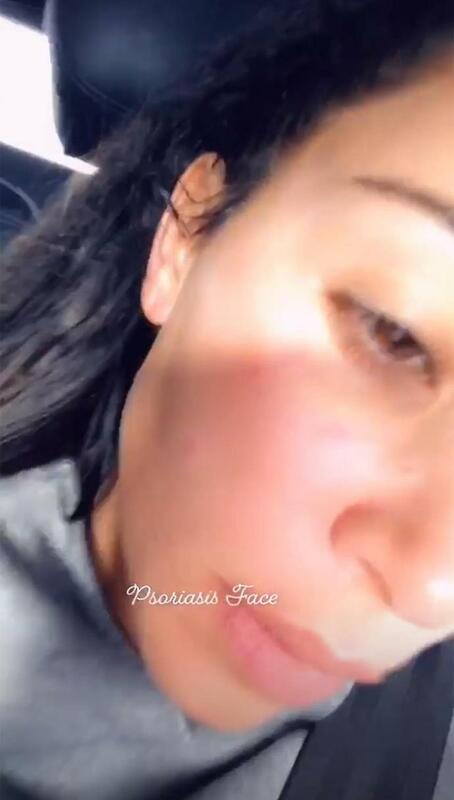 "Psoriasis Face," Kardashian West wrote over the clip. The post comes just a month after the KKW Beauty founder gave fans a candid look at what she's trying to help heal her skin. Kardashian West posted a selfie from bed on her Instagram Stories with a dark-colored herbal ointment dotted on the areas that broke out, including her under-eye region, cheek, forehead and chin. "Psoriasis is the s-! ]]>??? ?